Calgary, Alberta – Although we are limited in what details we can share, out of respect for the ASIRT investigation, here’s what we know at this time. At approximately 1:30 a.m., on Saturday, March 23, 2019, officers were called to a home in the 2700 block of 86 Avenue S.E., in response to a report of an armed home invasion involving multiple offenders. Officers arrived to find two men attempting to flee the scene in a vehicle a short distance away from the home. A confrontation occurred and at approximately 1:40 a.m., an officer discharged their firearm, striking the driver of the vehicle, believed to be a man in his 30s. The driver was taken to hospital in life-threatening condition. He is currently in critical, but stable condition. A passenger in the vehicle, a man believed to be in his 20s, was taken into custody without injury. At the residence, officers located an injured man, believed to be in his 20s. The man was transported to hospital in serious but stable condition. The man is not a resident of the home, but is believed to be known to the residents. It is believed the offenders fired a gun in the vicinity of the home in the moments leading up to police arrival. A gun was recovered at the scene. At this time this is believed to be a targeted home invasion. Investigators are looking into the potential involvement of other suspects. Descriptions are not yet available. No officers were injured during the incident. The subject officer is a six-year member of the CPS. The Alberta Serious Incident Response Team has been called to investigate. Calgary, Alberta – The Alberta Serious Incident Response Team has been called following an officer-involved shooting early this morning in Calgary. At approximately 1:30 a.m., officers were called to a home in the 2700 block of 86 Avenue S.E., in response to a report of an armed home invasion. 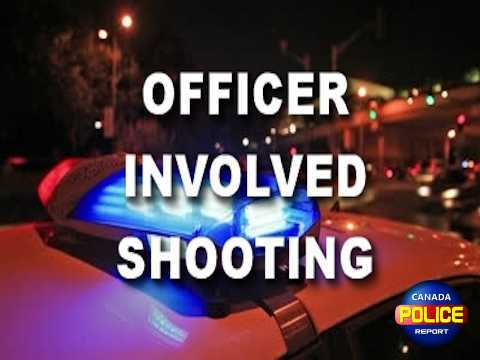 Officers encountered the suspects upon arrival and a confrontation occurred which resulted in one individual being shot by police and a second taken into custody without injury. Police are still investigating the potential involvement of other suspects. Descriptions are not yet available. One man was found injured in the home and was taken to hospital in serious but stable condition. There is no further information that can be released at this time.